Infant baptism was the universal practice of the church until after the Protestant Reformation. The early church was not credo-baptist. Note: I wrote this post in response to a question I received from a fellow pastor. I like to address practical issues that pastors and Christians are facing on the ground. If you would like me to address a particular question, drop me a note! Ancient practice in the Church sets an important precedent for present day practice. This certainly doesn’t mean that Christians are bound to only do things as they have always been done, but the principles of catholicity and unity move us not to break from historic church practice on a particular item unless there is a strong biblical rationale. Where there is not a strong biblical rationale, or, strong cases could be made on either side, the precedent of church tradition should play a factor in making the decision. Such is the case with infant baptism. Credo-baptists and paedo-baptists both present biblical arguments that either side is fully convinced of. Thus, church tradition is often brought into the discussion to lend weight to the support of one side or another. So what does church tradition have to say on the issue of infant baptism? What was the historic practice of the church from the earliest days? Before we go further, I would like to make a few distinctions and give a few definitions. First of all, credo-baptism shall be defined as the conviction that only those who credibly and consciously profess belief in Christ are valid subjects for baptism. This can also be referred to as believers-only baptism. Second, paedo-baptism shall be defined as the conviction that infants of at least one believing parent are valid subjects of baptism. The paedo-baptist conviction therefore does not exclude baptism of adults who have converted to Christianity and have never been baptized. I shall also use the term infant baptism as synonymous with paedo-baptism. Also, I would like to make two caveats. First, I am fully aware of the biblical evidence and rationale for the paedo-baptist position and can readily give it. This point of this article is to give historical evidence in the face of two positions that both claim to have biblical rationale. I am also fully aware that credo-baptists have fully developed biblical rationale for their position (though I disagree with them). The point of this post is to address the historical precedent as a sort of “tie-breaker” to the biblical stalemate. Second caveat: I fully embrace my Baptist brothers and sisters as fellow believers in Christ. This is a intramural discussion, and one I offer not with rancor, yet with firmness of conviction. Infant baptism was the universal practice of the church until after the Protestant Reformation. At the onset of the Reformation, none of the magisterial reformers abandoned the practice of infant baptism, but began to vigorously defend it with fresh biblical rationale based on Covenant Theology. The Reformers went so far in their defense of paedo-baptism that none of them even advocated the re-baptism of those who had received baptism in the pre-Reformation church. To this day, churches that are the ecclesial and theological heirs of the Protestant Reformers have continued that practice of infant baptism. These would be Lutherans, Presbyterians, Reformed of various kinds, and Anglicans (which I would argue fall in the Reformed camp, but someone may protest that I left them out). In these churches there is a continuous and consistent theology and practice of infant baptism that goes back to the days of the early church. Thus infant baptism was the universal practice of the Christian Church until some Reformation leaders began to question many of the standard practices of Christianity and the Christian life. These Radical Reformers (what scholars call the anabaptists) opposed padeo-baptism, and they advocated for the re-baptism (thus the name anabaptist, one who re-baptizes) of those who had been baptized before the Reformation. But the 16th century anabaptists can not be properly described as holding to credo-baptism as I have defined it. These radical reformers made a very high hurdle to cross before baptism, not simply allowing those who made a credible profession of faith come to the font, but only allowing those who had proven themselves over a long period of time as committed Christian disciples. The radical reformation reserved baptism for the few, a subset of Christian believers. This is not the modern Baptist position. Furthermore, there are many aspects of 16th century anabaptist movements that modern baptists do not adhere to, specificaly, pacifism, communitarianism, and mysticism. The proper heirs of the 16th c. Radical Reformation are to be found in the Menonite and Amish churches, not in modern Baptist churches. (NOTE: see James R. Payton, Jr, Getting the Reformation Wrong, pp. 160-172). Baptists, rather, are the spiritual heirs of the English Reformation of the 16th-17th centuries. As such, the 17th century theology of credo-baptism was quite new, even by the timeline of the Reformation. There is no real historical precedent for the view before the 17th century and no place where it was practiced outside of England. In contrast, the paeo-baptist position was practiced and defended biblically and theologically from the onset of the Reformation and in every place where the Reformation spread up to the present day. To the time before the Reformation: no one disputes that the practice of the ancient and medieval Church was universally paedo-baptist after the time of Augustine. This is because Augustine’s treatment of both original sin and the doctrine of grace made a theological path for the practice of infant baptism to become universal. From the 5th century onward, there is no question as to the universal practice of the Church in baptizing the infants of believing parents. However, in the earliest centuries of the church (before Augustine) the evidence for infant baptism is scant and many credo-baptists will argue based on this that believers-only baptism was the first practice of the church until Constantine got a hold of things. The Constantine thing is always a red herring. Almost nothing he is credited (or blamed) for in the Church is accurate. As I said above, Augustine was the one who closed the book on infant baptism. Constantine himself never weighed in on it and still evidenced the flawed early church baptismal practice in his own life (which I will talk about below). Yet the argument for credo-baptism in the early church is not sustained by the historical evidence. It is true that the writings we have access to today give overwhelming evidence to adult baptism and to many folks delaying their baptisms well into their adult life. However, this evidence for delaying baptism does not support the credo-baptist position for the following reasons. 1) The reason why adult baptism is the focus in the early church is because everyone is converting to Christianity (it’s the same as in the New Testament). Many of the stories told in the very early church are of converts, and so many were converting from paganism to Christianity that the stories of infant baptism get lost. The story of the early church is one of conversion. Thus the baptism of professing believers is the story told. This is not therefore evidence against infant baptism or for believers-only baptism. It is evidence that people were converting to Christianity in droves and being baptized. 2) There is no writing (that I know of) that is polemical against infant baptism. If the Early Church was credo-baptist by conviction, you would expect much polemic against infant baptism. It simply doesn’t exist. 3) There is evidence for infant baptism in the early church. It isn’t the only practice, but the evidence suggests that infant baptism was a normal and expected practice. One specific example is found in the Apostolic Tradition of Hippolytus (late 2nd to early 3rd c.). In this text a baptismal rite is described that includes infants. There are other examples of this in the early church. As I said above, the adult baptism of converts was the most attested practice, but there is still ample evidence that infant baptism was occurring and no one, I repeat, no one was arguing against it. 4) The reason why many Christians in the early church delayed their baptism was due to a faulty baptismal theology and a faulty soteriology. Before Augustine gave the definitive treatments, many believed that since baptism washed away all previous sin and that if you sinned after baptism there was no possibility for forgiveness, you should delay baptism as long as possible to get your sinnin’ in. This is why Constantine was baptized late in life, for example, not because he was not a committed Christian, but because he wanted to make sure to be saved (there was also a political reason for him delaying baptism). After Augustine developed his doctrine of grace and gave the definitive (and final, at least till the Reformation) argument for infant baptism, this is no longer an issue. Here’s the payoff, Baptists point to the early church for evidence of believers-only baptism, but are they willing also to own the errant theology that was the reason for it? I think not. There were people who delayed baptism in the early church but it was not for modern credo-baptist conviction that only believers should be baptized. It was for other (faulty) theological reasons. Baptism was not delayed until a credible profession. It was delayed until the person felt they could go on for the rest of their lives without sin (or to enter the Christian ministry). This is not the modern Baptist position, nor should it be. The early church was not credo-baptist. When reading Berkhof’s Systematic theology one comes away with the notion that justification and sanctification were inseparably conflated and that works based theology reigned until the Reformation, (Berkhof, 529-30). While it is true that the Reformers were the first to articulate the doctrine of justification by faith alone and to draw out the distinction between justification and sanctification, it is not true to say that the church was uninterested in the process of sanctification until the Reformation. Sanctification is, as the word suggests, the process by which a person is made holy. The distinction has historically been made between definitive sanctification, a setting apart by God at one’s regeneration and baptism, and progressive sanctification, the lifelong process by which a believer, by grace, is enabled to more and more die unto sin and live unto righteousness, to paraphrase Westminster. To say that the church never rested in the “apartness” of baptized believers or that the church never sought to become more conformed to God’s law would be incorrect. Furthermore, after Augustine, everyone in the West taught and believed that everything in a believer’s life was totally and completely of and by grace. Martyrdom (1st-4th) – the intense early phase of the church. The passion of standing for one’s faith in the face of torture and death and the contagious fervor that this threat posed served to sanctify the early church. Orthodoxy (4th-6th) – Right belief in the era of the Creeds and Councils. Sanctification through right belief. Mystical Theosis – Eastern contemplative. Becoming God-like through spiritual disciplines and contemplation. Related to orthodox belief. Sacramental Divinization (5th-7th) – Augustine’s Western counterpart to Theosis. Being made God-like through grace by hearing the word, participation in the liturgy, sacraments, and prayer. Communal Regulative formation (5th – 11th) – Benedict of Nursia. Sanctification through faithful (full of faith) and evangelical (belief and adherence to the gospel) submission to a rule of life in the community of believers. Still assumed the Augustinian notion of sanctification by grace. Corporate Sacramental Participation – Carolingian period (8th-10th c). A form of Augustine’s notion, but more emphasizing the entire body being sanctified corporately instead of individual believers. Curative Pastoral Application – Innocent III (13th-14th) Emphasis on individual participation and involvement in pastoral care to bring sanctification. Mystical Contemplation (13th-15th) – Mystics like St. Francis and Bonaventure building on the tradition of Pseudo-Dionysius in the mystical contemplation of the Trinity. There is some of this in Augustine too. Imitation of Christ (15-17th) – Thomas à Kempis and the other devotio moderna adherents. Contemplation and imitation of Christ. There is some of this in Francis as well. Al Mohler comments on a Mark Gali article in Christianity Today remarking on modern Christians’ lack of appetite for hearing passages of Scripture read in church. This is why we keep the traditional set of scripture readings in our services at Christ Our King. I often tell our people that my opinion as an expositor and preacher may be informed by education, wisdom, and experience, but my sermons are not inspired by the Holy Spirit. We need to read and hear Scripture so that we can make space in our worship for the Lord to work in changing our hearts and lives. One way to look at it is that the reading of Scripture should be the main event. The sermon is simply explaining and applying what we have just read from God’s holy and inspired Word. All too often, it is the sermon and not the Scriptures (or communion!) that is the main event. This is a modern aberration in the history of Christian worship. Christian worship has always made the reading of Scripture the primary event, as it should be. In the standard worship service of most of the 2,000 years of Christian worship, passages of God’s Word were read from the Old Testament, The New Testament, and the Gospels. These lessons, as they are called, are often thematic to the time of the church year. At other times they relate to each other as one main text is being moved through sequentially (the Gospels, for instance). In the historical worship service, the reading of scripture is highlighted and glorified by being interspersed with the singing of Psalms, Scripture Songs, and Hymns. In this kind of service, it is God’s Word that is magnified and honored, not the opinions and self-importance of one person. Is it any wonder that as the practice of reading scripture has lessened in our churches that the cult of personality has increased with celebrity pastors and mega-churches? What would happen if we read more scripture, sang more scripture, celebrated communion more often and had a shorter sermon? GASP! Are we afraid to let God’s word to take precedence in our worship? Isn’t it a bit conceited and even idolatrous to think that my sermon could ever do a better job of edifying and strengthening the flock than the Holy Spirit working through the Word of God? We utterly condemn the vanity of those who affirm the sacraments to be nothing else than naked and bare signs. No, we assuredly believe that by Baptism we are engrafted into Christ Jesus, to be made partakers of his righteousness, by which our sins are covered and remitted, and also that in the Supper rightly used, Christ Jesus is so joined with us that he becomes the very nourishment and food for our souls. This is part three of a series on Lent. Part one: On the Origins of Lent; Part two: The History of Lenten Fasting. Fasting is a biblical practice. 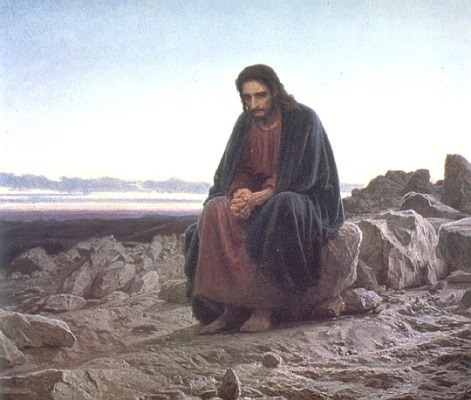 In the sermon on the mount Jesus denounces the false fasts of the Pharisees, yet he assumes that fasting will nevertheless be a part of the Christian life. Twice in Matthew 6:16,17 Jesus says, “When you fast.” That Christians should fast is assumed by our Lord. Despite this clear biblical teaching, while I’ve heard a great deal from Reformed teachers concerning when we shouldn’t fast and what fasting isn’t about, I’ve heard scarcely little written in a positive fashion about when and how we should fast. Now, what the recent teaching on fasting has done well is to offer a corrective to the idea that fasting is some sort of spiritual discipline. Fasting is not a spiritual discipline. In the Bible, fasting is always accompanied by prayer and is done for a specific purpose. Just do a simple word search and see for yourself. Yet while we have had this needed corrective to the concept of fasting, we have not yet replaced it with a helpful, positive view of what fasting should be. This is what I want to explore for a bit in this article. Secondly, I want to explore whether this new reformed kind of fasting has a place in Lent. What then is fasting for, and when should we do it? In the Bible people always fast for a specific purpose, and fasting is always coupled with prayer. Therefore, you never find a person in the Scriptures fasting as a general spiritual discipline (except the Pharisees). There is always a reason for the fast. People in the Bible fasted when they wanted an answer to prayer. Furthermore, there is a strong connection in the Bible between fasting, mourning, and repentance. I will give two examples of this from the book of Samuel. In 1 Samuel 7, the people were oppressed by the Philistines and longed for deliverance. Samuel, now Judge of Israel, calls the people to put away their idols and repent of their sins so that Yahweh will deliver them. The people then respond to Samuel by obeying his word, and then in verse 6 we find that they fast and pray as a sign of repentance and to ask Yahweh to deliver them, “So they gathered at Mizpah and drew water and poured it out before the LORD and fasted on that day and said there, “We have sinned against the LORD.” And Samuel judged the people of Israel at Mizpah.” So the people fasted as a sign of repentance and the Lord delivered them from the Philistines. Another example of this is from the life of David in 2 Samuel 12. After David commits adultery with Bathsheba and is called out for his sin, he repents of it. Still, as a result of David’s fall, Nathan says that Yahweh is going to take his first son by her. When the child becomes sick (the text says that Yahweh afflicted the child) we find this in 12:16, ” David therefore sought God on behalf of the child. And David fasted and went in and lay all night on the ground.” Again, we find that fasting is coupled with mourning, repentance, and a request for deliverance. Example after example from the Scriptures can be brought forth in support of this general idea (see Nehemiah 9 and Joel 2 for two other examples). What the biblical data shows us is that we fast when we are in a very serious situation. We fast when we are mourning and asking for deliverance. We fast when we are penitent. We fast as a physical manifestation of our urgency in crying out to God to hear and answer us in our time of need. The criticism of fasting in the Bible that we find from Jesus and the prophets is not that it is a bad practice, but the criticism is that it is not done in a sincere way. The Old Testament reading for Ash Wednesday in the Book of Common Prayer is Isaiah 58:1-12. In that text the fasting is performed in an outward but insincere way. The text continues that fasting must be coupled with acts of righteousness. It must be accompanied by true contrition and true faith. Outward acts alone are not enough, but they must flow from the inward condition of the heart. Given this, should a Christian undertake regular times of fasting, or should it be irregular and infrequent? Ask yourself: is the church called to sacrifice itself for the life of the world? Do we take seriously our call to die to self? Is it just when circumstances in my own life are bad that I should mourn and fast, or should I, we, the Church, fast and mourn on behalf of our broken, fallen world, our friends and neighbors, asking for our God to deliver it from evil and for His Kingdom to come? Do we not see enough reasons around us to fast and mourn for the deliverance of our city? Our nation? Our world? Do we have our eyes open? Perhaps we should view fasting as a type of memorial like the Lord’s Supper, though to a lesser degree. In the Scriptures a memorial is something that primarily serves to remind God, and only secondarily serves to remind us. A good example of his is the rainbow. In Genesis 9:13-15, God tells Noah that he will set the rainbow in the clouds to be a reminder to Him, and that when God sees it, God will remember his covenant with the creation not to ever destroy it again by a flood. Of course, since the rainbow is a physical sign that we can also see, we are also reminded of God’s promise when we see it, yet it is primarily to remind God. In the same way, the Lord’s Supper is a memorial, and when we celebrate the Lord’s Supper we are primarily reminding God of his covenant promises to us, and only secondarily reminding ourselves of Christ’s death on our behalf. Nevertheless, the two, God’s remembering and our remembering, are inseparable. In the same way, the Bible also speaks of prayer as a memorial. One clear example in Acts 10:6 where God appears in a vision to Cornelius the gentile and tells him that his prayers and his alms have ascended as a memorial before God (see also Acts 10:31). As a result, Cornelius is to send for Peter who will preach the gospel to him and his household. As we know, Peter comes, he preaches the gospel, and the Holy Spirit falls on the gentiles assembled there as He did at Pentecost. Then Peter baptizes all of them. Now my point in mentioning this is that twice in this account by Luke, in verse 6 and in verse 31, prayer is called a memorial, and it is clearly a memorial that reminds God. In the same way we can see fasting as intensified prayer and that fasting too is a kind of memorial, a sacrificial offering that ascends to the Lord and gets his attention. Now, this may raise our hyper-calvinist hackles, but this is the way the Bible speaks. Therefore if prayer is a memorial and fasting is an intensified type of memorial prayer, then we can see why the church would want to enter into regular periods of prayer and fasting for the sake of the broken world around us. We are called as the church to take up our crosses, deny ourselves, and follow Jesus: follow Jesus into the wilderness; follow him as he gives his life for the life of the world. Lenten fasting is one small way in which we follow Christ by offering up our memorial before the face of God, asking him to act on our behalf. Therefore what are we fasting and praying for in Lent? We are mourning and fasting because of our own sins. We are acknowledging our part in the broken condition in this world, and we are calling on God to act in our lives to heal us of our own sinfulness and to help us to lead lives of righteousness. Furthermore, we are fasting and praying for the life of the world. We are crying out to God to come and fix our broken world, and we are denying ourselves as a memorial before his face that he will act to strike down evil and cause his kingdom to come in evermore increasing ways in this world. In this way, Lenten fasting is a sacrificial act by the church on behalf of our world. Through it we are crying out to God to fix all the brokenness and pain we see around us: all the death, the sin, the wickedness, the injustice, the poverty, the disease, the war, the infertility, the loss, the hurt, the loneliness – every single way in which this world is fallen and broken – we are crying out to God to heal, to save, to deliver. So, you see, we do have reasons to fast during Lent. We have good biblical and theological reasons for our fasting and abstinence. Through our fasting we are acting as living sacrifices, living memorial stones, asking God to heal our world, a world that we can surely seen is in desperate need of His healing touch. But those who are in his body appropriately eat the body, in order that while he is on the journey, through the body of Christ alone he might be refreshed by his flesh and learn not to hunger for anything but Christ, to thirst for nothing but Christ, to taste nothing but Christ, to live by none other, nor to be anything other than the body of Christ. What does it mean to be anointed, and why was Jesus anointed? Well, both the Greek and Hebrew words used in the Bible for anointing literally mean “to smear oil on something.” Yet the question arises, what does smearing oil on something have to do with preparing one for ministry? In the Bible we know that priests, kings, and prophets were all anointed. What is it about rubbing or smearing oil on someone that is beneficial for these tasks? If we study ancient near eastern bathing practices we find that oil had a prominent place in bathing. Oil was used like we use soap, to aid the water in the cleaning process. Also, oil was used after the bath in order to protect the skin against the harsh arid climates surrounding the Mediterranean. We see evidence for this in the Bible in 2 Sam. 12:20. Therefore we see that oil aides the water and oil protects the body. What else does oil do? We also find in the Scriptures in Psalm 104:15 that oil makes the face shine. Shining faces speak of glory. When Moses went in to speak with God, he had a shining face. So rubbing oil on the head and face makes one glorious. What else? We also find in the Scriptures and in other ancient sources that the weapons of warriors, and even the warriors themselves would be anointed with oil for battle. The purpose is unclear, but it seems to have served a protective purpose. Thus we see that anointing is for cleansing and protection, to aid in battle, and to give one a glorious shine. Yet Jesus stands up in the synagogue and says: “The Spirit of the Lord has anointed me.” Now this removes the physical oil completely from the equation and reduces the anointing to its spiritual significance. Yet we must not forget what an anointing with oil does: it cleanses, it protects, it makes ready for battle, and it glorifies. Here we see that the spiritual reality of an anointing is the pouring out of the Holy Spirit. Specifically, this anointing which Jesus is proclaiming about himself occurred at his baptism, where he was washed with water, and the oil of the Spirit aided the baptism and was applied to Jesus in conjunction with the water. After His baptism, Jesus is now the Messiah, the Anointed One, and he is cleansed, protected, glorified, and made ready for his new ministry (battle) that is before him. Maybe you bristled just now when I said that Jesus was cleansed by his baptism and his anointing. “Wait a second,” you say, “ wasn’t Jesus perfectly sinless? Why then did he need to be cleansed?” Well, I agree that Jesus was perfectly sinless. Yet he was made incarnate into our own fallen human flesh. It wasn’t his own sin for which he needed to be cleansed, but for the sins of all of us. Jesus was baptized for us so that we could follow him through the waters of baptism into the new creation that he is bringing into the world. The cleansing of his baptism and anointing, therefore, cleansed our fallen humanity and readied it to be able to “pass through the heavens,” (Heb. 4:14) to sit at the right hand of God as the Ruler and Judge of the entire cosmos.